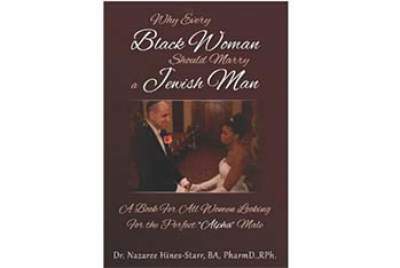 Author Nazaree Hines-Starr had self-published a hybrid memoir/self-help book for her fellow black women, titled, “Why Every Black Woman Should Marry a Jewish Man.” The book was based on her own experiences in dating and having relationships with black men and meeting her Jewish husband online, dating him and eventually marrying him and starting a family. Nazaree’s goal was to gain both niche and broad media exposure for her book, sparking a public dialogue and debate about the low marriage rates within the African American community, and Jewish family values that she discovered in her husband and wants the black community to emulate. As an unknown, self-published author, our currency was the inflammatory and provocative nature of the book’s title. We traded on the sensational factor to translate controversy, shock and even outrage into journalist interest and media coverage for Nazaree and her book. We began our campaign with a press release that bore the title of the book and we pulled the most compelling handful of Nazaree’s quotes from the book and inserted them as a teaser excerpt into the press release. We were bold and unapologetic about the book’s views to get both the black media and news media to sit up and take notice of the book. The first media outlet to break the story about this book was popular urban women’s blog, MadameNoire.com. With an article titled, The Innumerable Problems Behind Why Every Black Woman Should Marry A Jewish Man, which sparked 335 comments on the article page alone, we got the ball rolling. The article was then sent to popular broadcast journalist Jacque Reid, correspondent for the nationally syndicatedTom Joyner Morning Show. Jacque invited Nazaree into the offices of TheGrio.com, an urban-themed website powered by MSNBC to do an on-camera interview about the book and to launch her platform. Jacque then booked Nazaree to be a live guest for Jacque’s biweekly Inside Her Story segment on Tom Joyner Morning Show. The segment also aired on Tom Joyner’s well-trafficked blog, BlackAmericaWeb.com, where it was shared further. We wanted some subversive energy surrounding this book as we wanted to flames to be fanned beyond what could be accomplished just with interviews, so we then sent these clips to some of the urban gossip sites like Bossip.com, who also posted a snarky article about the book to much response. Once momentum was in full swing within the African American community, we focused some efforts on Jewish media, booking Nazaree an interview with The Jewish Telegraph newspaper out of the UK. We did this to establish a balance of perspectives on the topic surrounding the book. With enough of a public platform now under our belts, we pitched Nazaree to broadcast journalist Roland Martin and Nazaree was then booked as a panelist on the program, News One Now with Roland Martin, to go head to head with Roland and his female panelists about her opinion that Jewish men make better husbands than many black men. We saved book reviews for last, as we wanted to be sure there was plenty of media buzz surrounding the book so that it may override any negative book reviews. We needed the curiosity factor to establish book sales. 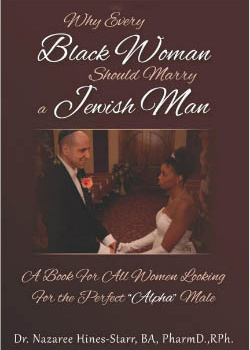 We then invited syndicated book reviewer and journalist, Kam Williams to read Why Every Black Woman Should Marry a Jewish Man and to publish his review of the book in 300 black-focused publications around the United States.